We are coming to the end of our Sponsorship with KaDoodle Bug Designs!! 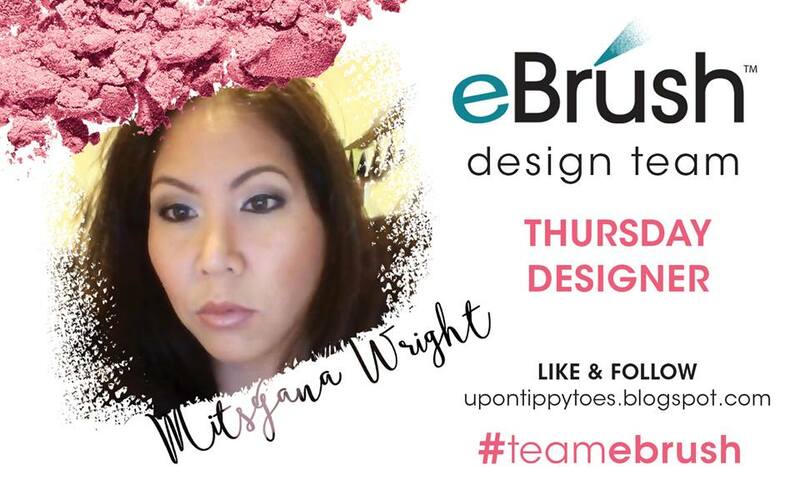 It's been so much fun showcasing these amazing file and how the eBrush can make them come to life. Don't forget to comment at the end of this post, follow the Craftwell blog, and "Like" KaDoodle Bug Designs on Facebook for your chance to win a $25 gift certificate!! For my card I started off by Cutting my "branch" from my Tattered leaves die. I cut out 2 of these, 1 in a light green cardstock and the other in chipboard. 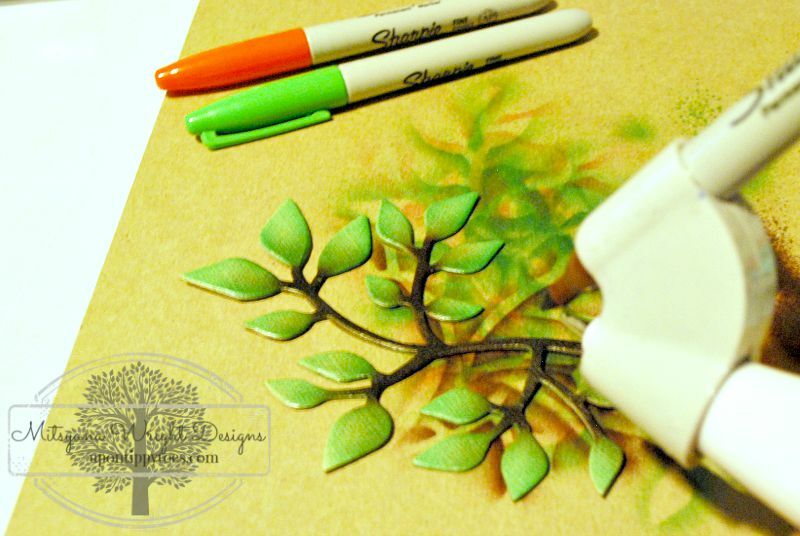 Then with my ebrush machine I airbrushed my leaves using my green, orange, and brown Sharpies. 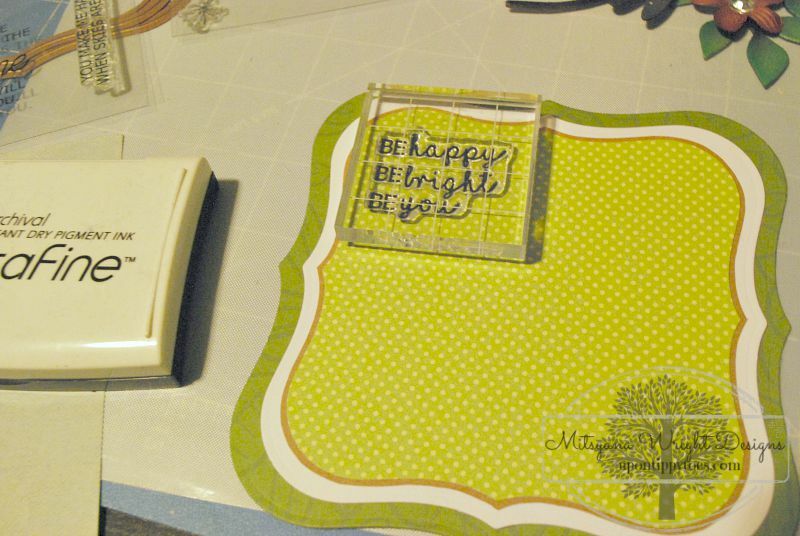 I knew I wanted my card to be a shaped card so I cut the base and nested panels from my Label one dies. Then set aside. For my I knew I wanted a little bird to be perched atop my branch. KaDoodle Bug Designs has lots of adorable bird files but this one caught my eye and I instantly fell in love. I think it's because of my island upbringing... go figure that I would be drawn too something more tropical. 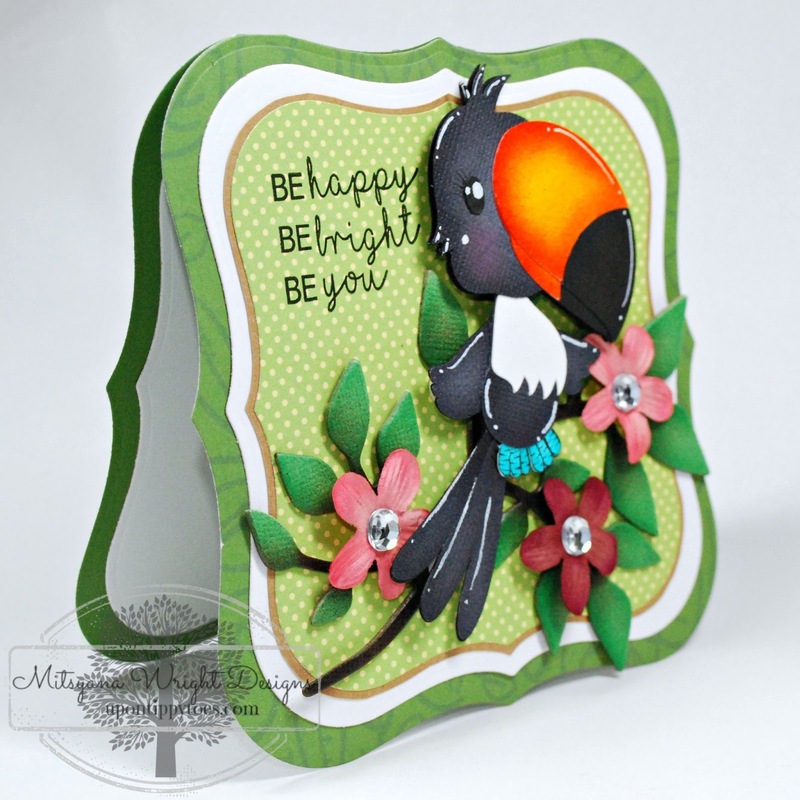 This one is called Tropical Birds... LOVE IT!!!! In the clipart included with the file this toucan is multi-colored... 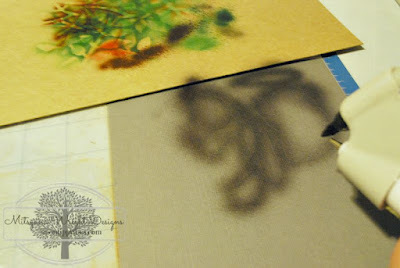 I didn't want to have to cut several different colors of paper... it wasn't the look I was going for. I wanted a more traditionally colored toucan. And, besides, I was feeling a bit lazy... but ssshhhh, you didn't hear me say that! 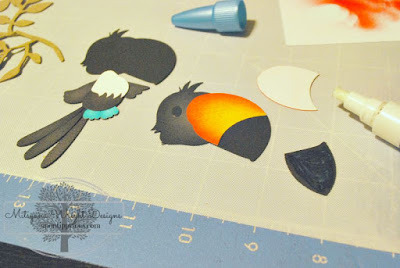 So I only cut my toucan in black, black, and gray cardstock. Then I just ebrushed the pieces that needed color, like my beak and feet. Then I glued the pieces together using a 2way glue pen. I used foam adhesive dots to give my toucan more dimension. I place my leaves into the appropriate spot, as to look as if he is perched on the branch. 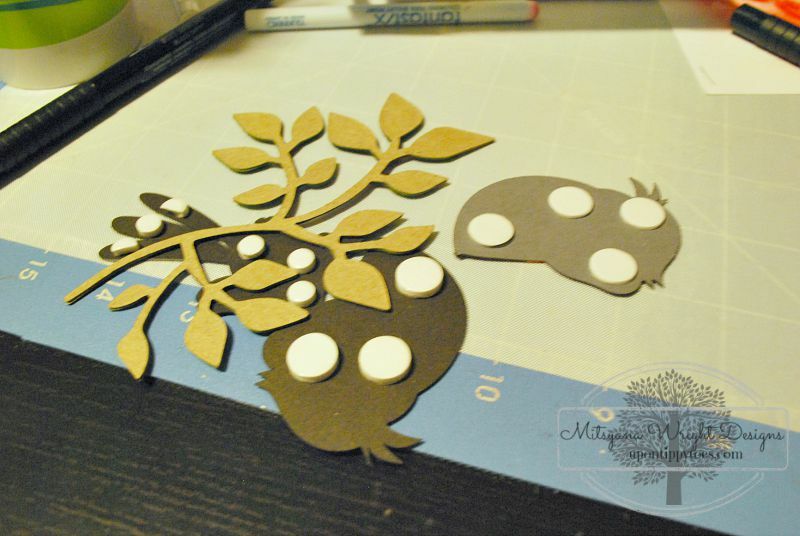 Then I adhered the foam dots around it. Now time to assemble my card... 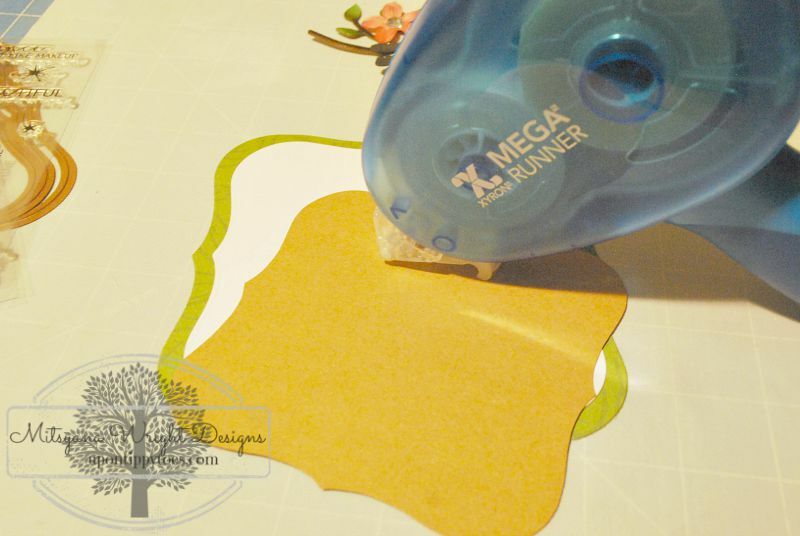 I used my Xyron Mega Runner to adhere my panes to my card base. Then I stamped my "be happy be bright be you" sentiment using my VersaFine ink pad in Onyx Black. 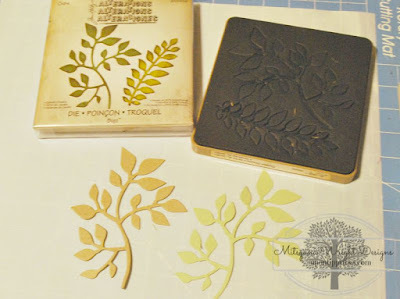 Then adhered my branch to my card base using more 2way glue. 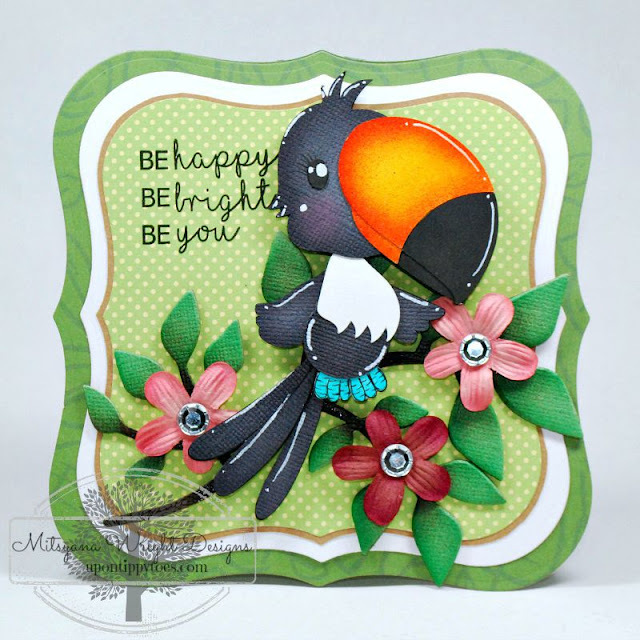 After setting my toucan down I finished off my card by adding flowers with rhinestone centers to my branch. 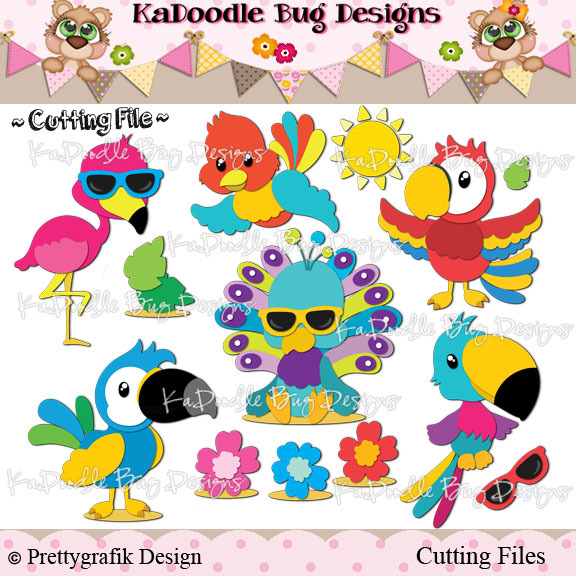 Thank you KaDoodle Bugs Designs for being our sponsor for the month of August!! I had a blast!! OMGONZO!! I was reading and scrolling and was thinking this has to be Mitsy's doing!! Gorgeous!!! Amazing result!! Thanks for sharing! Ohmy goodness! Love it! So stinking adorable! Totally off the charts on cuteness. I love it. WOW!! Absolutely GORGEOUS!! 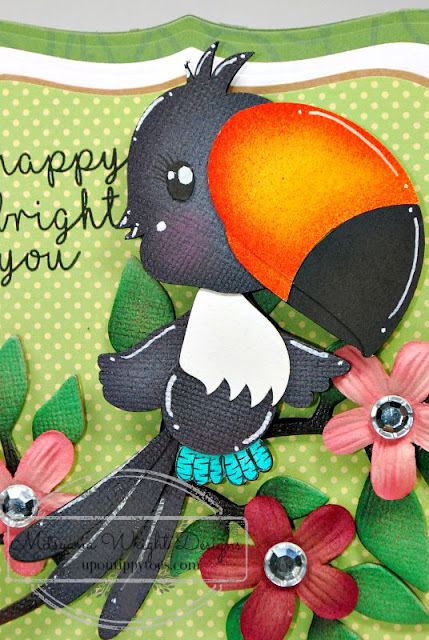 Such a beautiful Toucan!!! Amazing job!! WOW Mitsy! So much dimension!! Fabulous ebrushung! TFS!